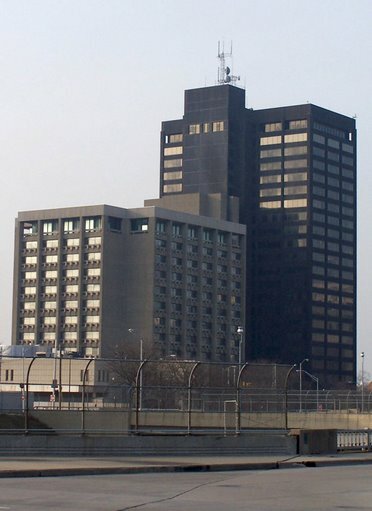 The FBI will be moving its Detroit Headquarters from the McNamara Federal Building to a new location at Howard and the Lodge Freeway in 2009. 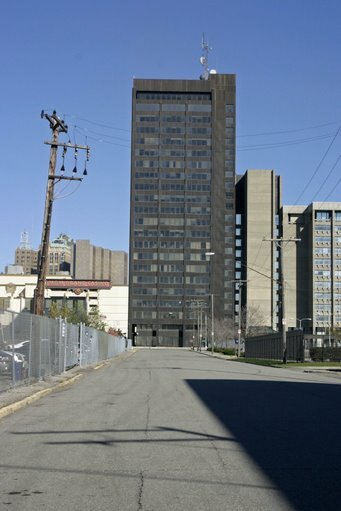 The Executive Plaza complex, built between 1967 & 1972 will be demolished to make way for the new 300,000 square-foot complex. 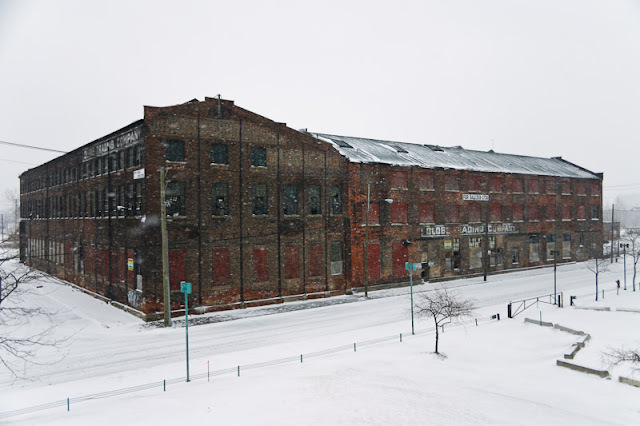 The Detroit Free Press is reporting that the Globe Trading Company Building in River Town is to be redeveloped into a $15 million dollar residential and retail complex. Mark Wilcox, who has also renovated Rinnell Place Lofts and the Carola Building, will convert the 146 year old complex into 45 market-rate condominiums and 10,000 Sq. feet of retail space. Out now, from Princeton Architectural Press and author Harry Skrdla, is "Ghostly Ruins: America's Forgotten Architecture." It's a 224 page introduction to some of America's most fascinating architectual ruins. Skrdla, and engineer and historic preservation consultant based in Ann Arbor has inadvertently created a tour book for urban exploration. He's does, however, acknowledge this fact in his disclaimer and urges safety, responsibility, and most of all respect. The book covers a wide variety of industrial, commercial and residential ruins accompanied by wonderful photos and brief backgrounds. Skrlda hits upon famous structures as well as the obscure. It contains profiles of the biggies such as the haunted Eastern State Penitentiary and Bannerman's Castle, as well as lesser known but equally compelling Windsor Plantation and the ghost towns of Centrella, Pennsylvania and Bodie, California. Having been written and photographed by a local, "Ghostly Ruins" provides a lot of coverage on Detroit. How could a book with this scope, not include the Book Cadillac Hotel or the Michigan Central Depot after all. 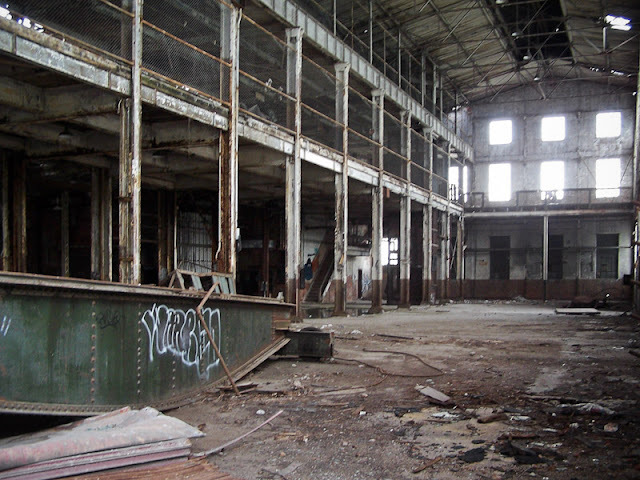 Also included are essays on the Packard Plant, Chin Tiki, Brush Park, Hudson's and the United Artist Theater. Skrdla has done well in crafting this tome on urban decay. He sets the stage with a series of vignettes in his introduction that will surely strike a chord with all urban explorers. Why are we so interested in these monuments of desolation? Could it be nostalgia for the past and memories of one's youth? Do we fancy ourselves as history's detectives searching for the truth behind these building's misfortune? Or, are we drawn in by the ghosts within that sit in waiting? The tragedies of these once great structures grip you from the very first page and haunt you till the very last. "Ghostly Ruins" is an inspiration. Just as Skrdla predicted, I was ready to hit the road and take some photos before I finished the introduction.